Red wine from Méntrida, blend of Grenache and Syrah and aged for 8 months in French oak vats. Red wine from Méntrida. Grenache & Syrah and aged for 10 months in oak. Varietal Syrah from the Méntrida DO aged for 8 months in French oak barrels. 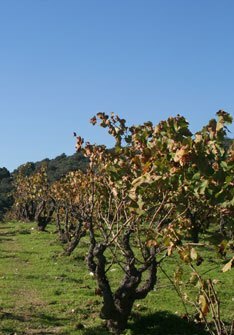 Varietal Grenache from Méntrida-Gredos aged for 18 months in French oak barrels.